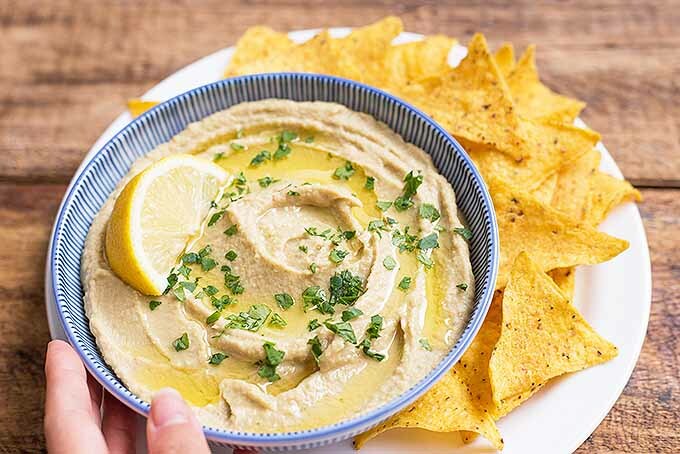 A classic appetizer that’s quick and easy to prep and set out before a meal, roasted garlic adds depth to the flavor of traditional chickpea hummus. Plus, fresh oregano, lemon, and a dash of cayenne make this homemade dip extra special, and delicious. Want to try it at home? Read more and get the recipe now on Foodal. Looking for an easy snack or appetizer that everyone will love? 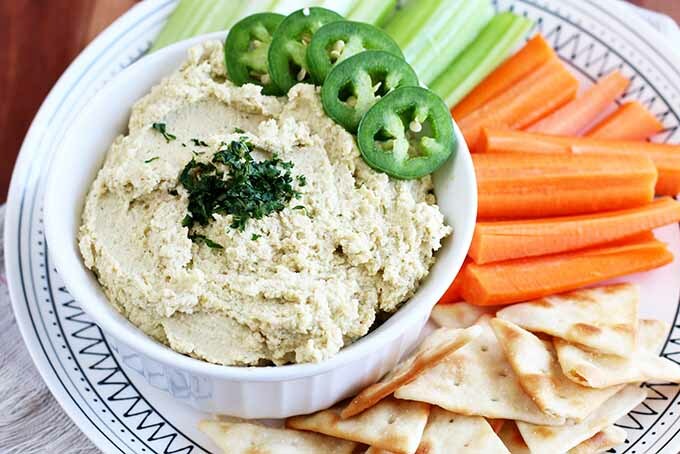 This Spicy Cilantro Jalapeño Hummus is the recipe you need. A creamy dip that packs the perfect amount of heat into every flavorful bite, the combination of jalapeño and cilantro will tickle your taste buds with herbaceousness and spice. Read more now. 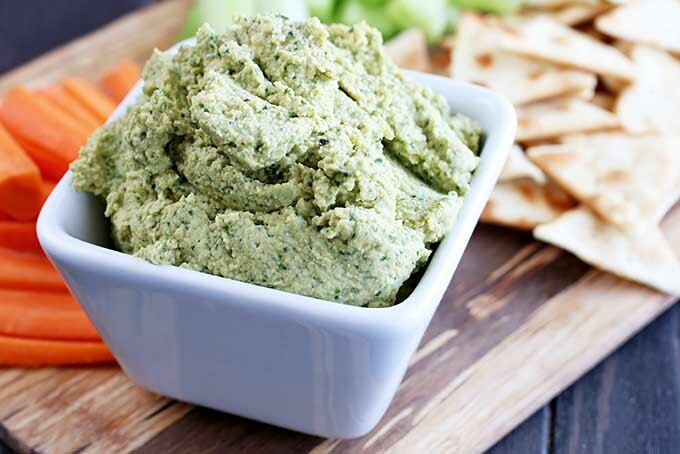 When you want to squeeze more greens into your diet in a new, exciting way, try whipping up a batch of this flavorful kale basil hummus. The richness of the bean dip is elevated with the addition of leafy greens and fresh herbs, giving it a fresh flavor that even those opposed to greens will not be able to stop eating. 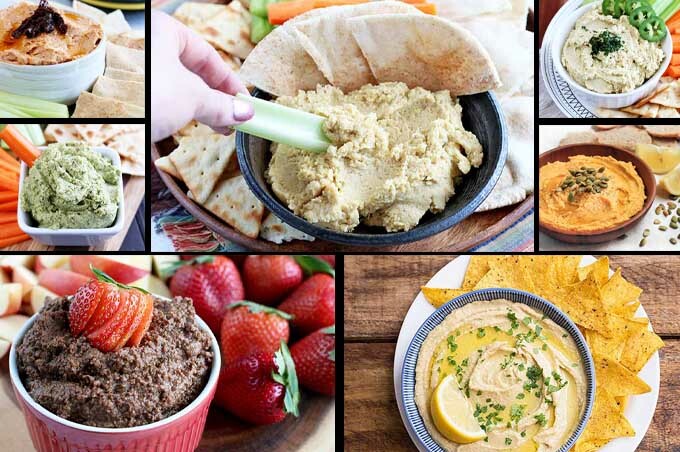 Need a new dip to serve? 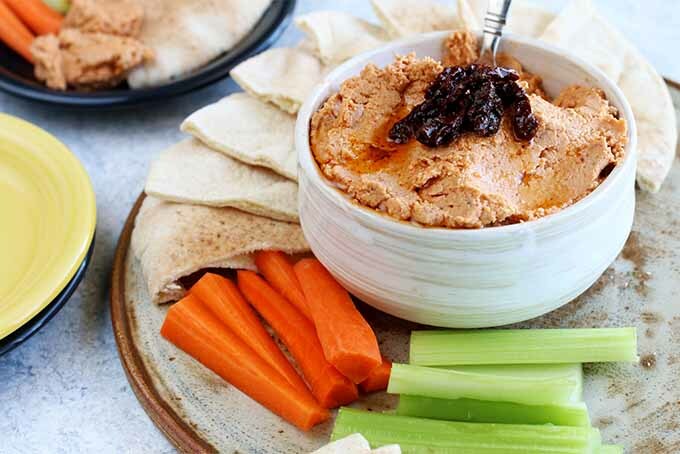 Get ready to dunk all of those carrot sticks, celery slices, and pita pieces into something a little different. 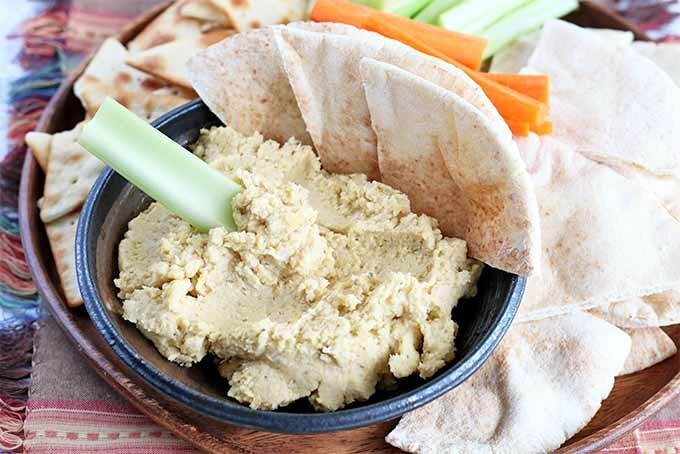 Try our healthy hummus inspired by baba ghanoush! We combine all the classic flavors of hummus you love with perfectly roasted eggplant and garlic. Get the recipe now on Foodal. 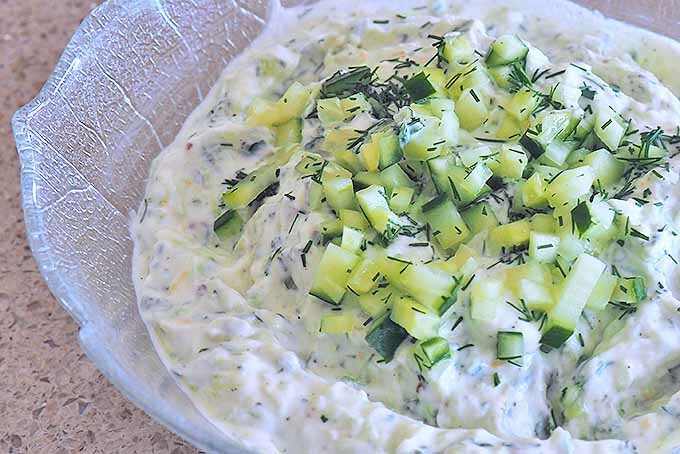 Tzatziki is the richly creamy and slightly tart yogurt and cucumber sauce that’s a perfect condiment with Greek and Mediterranean cuisine. It’s also an ideal accompaniment with grilled foods, as a veggie dip, to spread on breads, and for salad dressings. 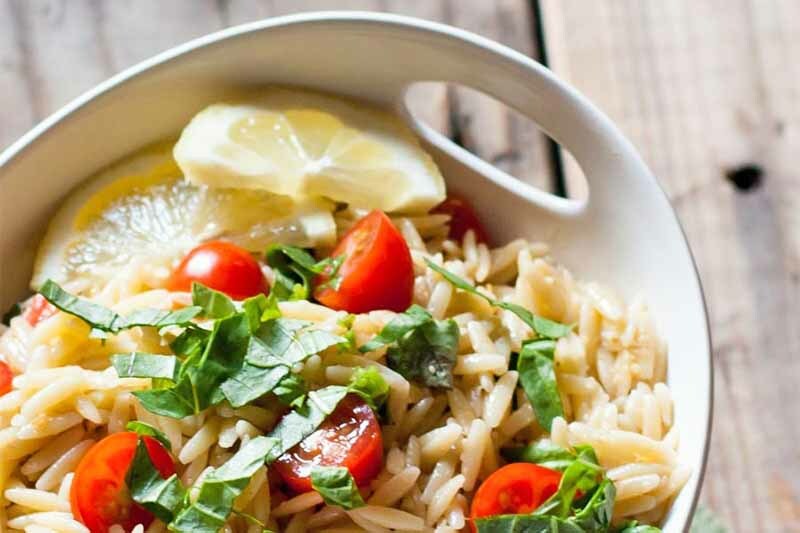 Try our fresh and tangy recipe today! 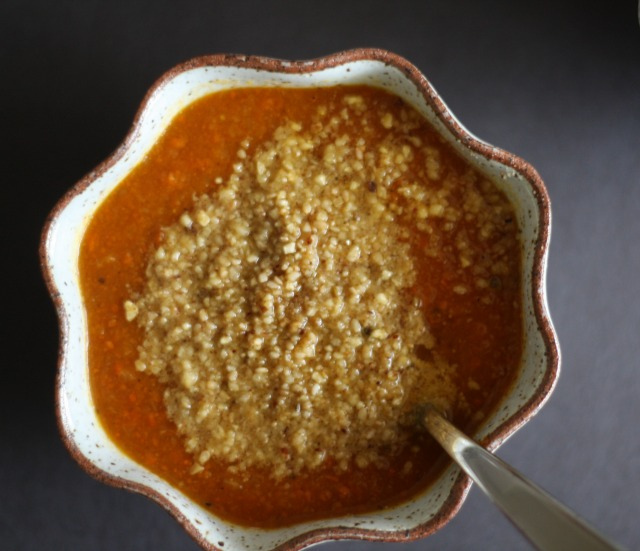 This roasted carrot soup shines not because of it’s base ingredients, but because of the incredible toppings that steal the show. 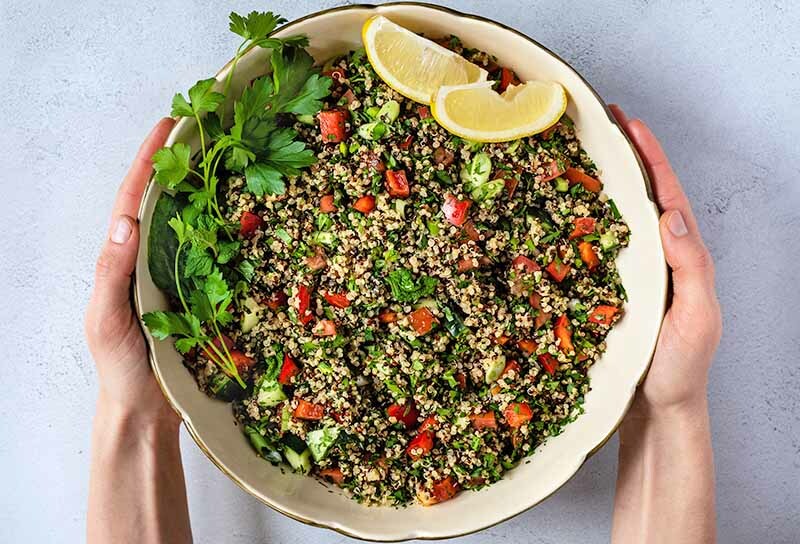 Topped with Dukka spice (an Egyptian spice and nut blend), which provides nutiness and spicey flavors, and a dollop of yogurt, which mellows out the other flavors, this recipe is sure to please.